Eat Play and Go – Come eat, play, and explore the world with me. Come eat, play, and explore the world with me. Bell sleeves are everywhere this spring! This is a trend that I love. They are so fun to dress up on a fun spring date night or an Easter egg hunt. Let’s talk about simple everyday style! You know the days when you are running everywhere and want to wear something cute and also practical. Continue Reading! My new food obsession is loaded sweet potatoes. I eat a variation of a loaded sweet potato at least once a week. I posted this loaded sweet potato recipe previously on the blog and have tried 3 or 4 more different types of loaded sweet potato recipes. As a family, our favorite sweet potatoes are these loaded barbecue chicken sweet potato. Continue Reading! Happy Thursday! This past week has felt like spring – 78 degrees, trees all in bloom, wildflowers sprouting everywhere – but it is just a glimse of the warm weather to come. I do not know about you but my closet is filled with lot of sweaters, pants, boots, turtlenecks, wool skirts, and jackets. While these winter clothes have served me well over the last few months it is almost time to retire them in favor of spring and summer attire. In the spring and summer I love wearing dresses, sandals, and t-shirts. This fun dress is my new favorite dress! It is extremely comfortable, has a fun floral print, and is light weight. The most amazing part is that if you are a new mom you could breastfeed in this dress. My friend and I used to talk about how much we missed wearing dresses for the year we breastfed our daughters. Although I am no longer breastfeeding my daughter, this dress would have been great when I was. This dress is one of the new spring arrivals at My Sisters Closet Boutique. Have you checked out their online store? They have so many fun dresses, shirts, shoes and pretty much everything! I seriously have three things in my cart from their shop right now. No joke. 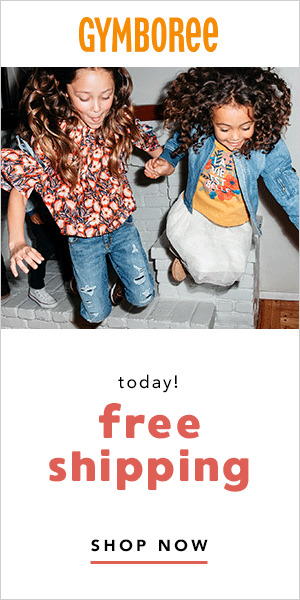 And so we all get to enjoy fun spring clothes – if you enter the code EATPLAYANDGO in your check out you will recieve 10% off your entire order! Enjoy and let me know what you think! Today I am sharing a typical weekly meal plan menu at our home. Realistically I do not cook every night. I cook most days of the week because it saves my family money and is healthy but I do not like cooking everyday nor do I like cleaning dishes everyday. My goals are to cook efficiently to save time for more important things. Below I have written out what my family will be eating for the next week. Continue Reading! Make Ahead Protein Packed Breakfast: How to Make Breakfast Less Stressful! Mornings in our house are always chaotic. There is almost always ambitious goals to wake up early that seem to happen less often than not. Mornings are spent racing off to this place or that, trying to get ready for the day, dancing with our daughter, getting things organized, packing a diaper bag, doing a lot of laundry, picking up, getting ready for work, and whatever else needs to be done before we go out and conquer the day. During all of this my family is somehow suppossed to eat breakfast. So how do we eat a healthy breakfast in the rush of the morning? Continue Reading! Have you ever read the book or watched the movie “Confession of a Shopaholic”? It has been years since I have read the book or watched the movie but I do remember that she wrote for a magaize under the name of The Girl in the Green Scarf. Although I do not have much in common with the character of the book “Confession of a Shopaholic” since most of my shopping is done at Target (Yes, it is my favorite store!) and not at Gucci. The one thing I do have is a green scarf that I love. I recently have found a new love for scarfs. As a mom I have realized that most accessories are difficult. Most jewelry cannot handle the pulling and tugging from a toddler. Scarfs however are durable and inexpensive so they have become my go to accessory especially in the weather when that is chilly but a coat is too warm. I am excited to enjoy warm weather and no longer have to worry about wearing a coat pretty soon. We are loving the movie “Trolls” and often just watch certain parts so we can have family dance parties. The soundtrack is awesome and just makes our little family dance (Yay for Dance Parties)! Today, my daughter and I survived Target without a huge tantrum. Normally going to a store conists of a non stop wrestling match and tantrum from my toddler (she hates staying seated in the cart.) So today was a win in my book because I left without having to read the Daniel Tiger book about feeling mad while simultaniously singing songs the entire time (it was a mini mom miracle). I am working on a post I am super excited about on how I make breakfast easier. Check out the blog later this week for more details on my tricks. It has seriously made my life so much easier and I am sure it will be helpful to you too. I hope you all have a great day! Tonight I know people who are camping out to buy the new Nintedo Switch (it is officially released tonight at midnight…or 12:01 a.m. if you really want to get technical) and I have to say this gaming system is really awesome! This past Saturday I was able to attend a preview event for the Nintendo Switch in San Francisco and it was so much fun! My husband and I wandered around the whole event playing Mario Kart (more than once), Zelda, new games like Old West Fast Draw and Cow Milking, and Street Fighter (I realized that I really like Street Fighter). My daughter and I danced together while playing Just Dance (although I think her favorite part was the goldfish and snacks!). Have you ever tried spagheti squash? It is a staple in our home through the fall, winter and most of the spring. It is so easy to prepare and a lot less calories than pasta. A cup of spaghetti squash is 31 calories with 7 grams of carbohydrates, where as a cup of cooked spaghetti is 220 calories and 43 grams of carbohydrates. Spaghetti squash is a great substitute for pasta and can be served with any of your favorite pasta sauces. One of our favorite ways to eat spaghetti squash is with sun-dried tomato pesto chicken. Continue Reading! Hello, it has been a while and yes I am pregnant! This time last year we had found out we were pregnant and lost a baby in the same month. I avoided Instagram during that time. Instead my focus was on trying to recover, and enjoying my family. Several months later we found out that we were expecting again This baby has been nothing short of a miracle. We have treasured every milestone and have enjoyed seeing the almost 4 year old love this baby with all her heart. Within the next month we are excited for another girl to join us and to come back on here more!! Is it acceptable to live off of grilled vegetables (and cookies of course)? Does anyone else have an obsession with Summer salads?